I’m not the girl that puts make-up on to go to the gym. I’m not saying i’ve never worn make-up to the gym, on the contrary, I have often gone to the gym after working all day, but I do feel that it’s really important to wear something you feel great in to the gym. 1. I think it makes you more likely to go to the gym if you’ve got a great outfit. And 2. I always run into people I know at the gym. It’s the one place where wearing yoga pants in pubic is totally acceptable. So this is my typical gym attire. 1. Yoga pants. I know I have scarred up knees from years of field hockey in school – so i’m one to cover my legs – but at the same time, I find that yoga pants mold to your body making workouts easier because I am not constantly fidgeting with my clothes. I prefer boot leg cuts, but many runners go for a totally fitted leg. 2. S makes fun of me for this all the time, but I simply don’t care – I always wear a 3/4 length or long sleeve t-shirt. My skin is super sensitive and I just don’t like my skin touching the gym equipment! There is also some measure of comfort for me with more skin covered up, even if it’s tight. 3. A great bra – seriously this one should probably be first. Try out a bunch of different bras and see which one works for you. Because I do a combo of weight lifting and cardio I want a bra that is rated for “active”. This Victoria Secret Bra is my go to, but everyone is different. It’s super supportive, comfortable, and hey – it’s cute! And last, but not least – A great pair of shoes. 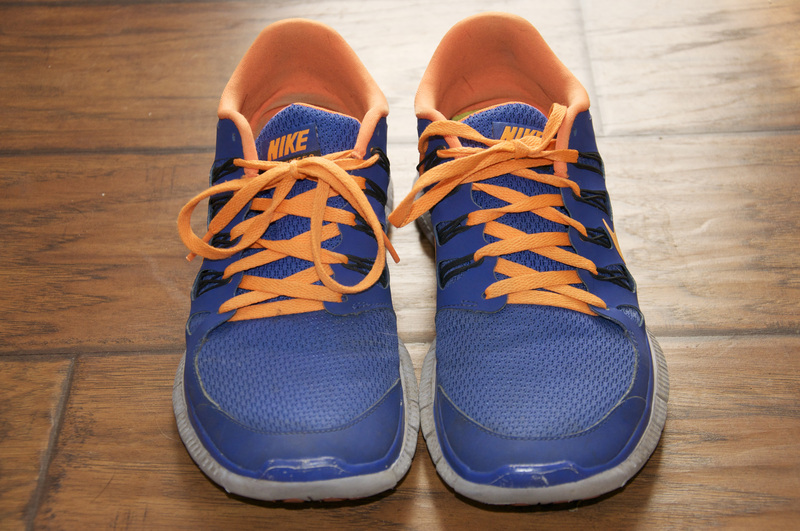 It’s extremely important whether you are walking or running to have the right shoe for your feet. Everyone is different whether they walk on the inside or outside of their foot, whether they have a high or low arch, and how you put your foot down when you walk. I highly suggest getting evaluated by your local running company, even if you’re only planning to walk. If you’re in Maine, I love Maine Running Company! 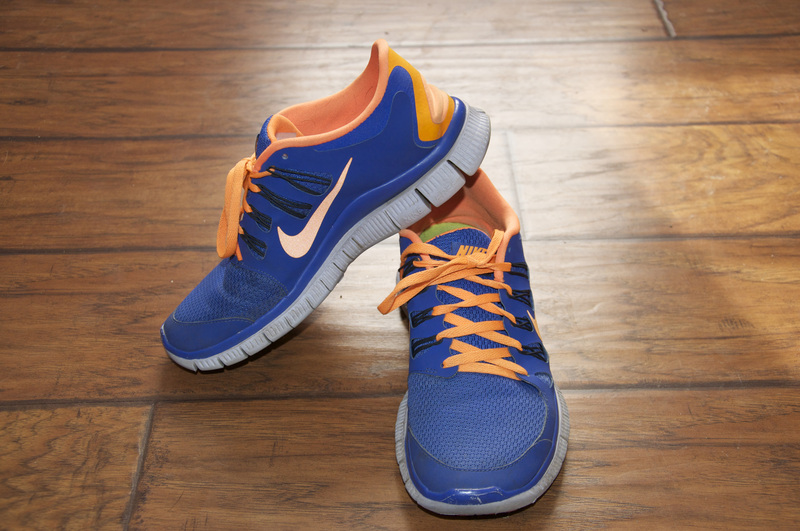 They fit me for my Nike Free’s below and I just keep buying more! These shoes make my feet feel wonderful even after pounding the pavement for 50 miles during the MS Challenge Walk! So get out there and get some great gym clothes. You don’t have to spend a lot, my yoga pants and top are from Old Navy! I love to visit their stores right after christmas and get great deals! Spend the money on your shoes, your feet will thank you!